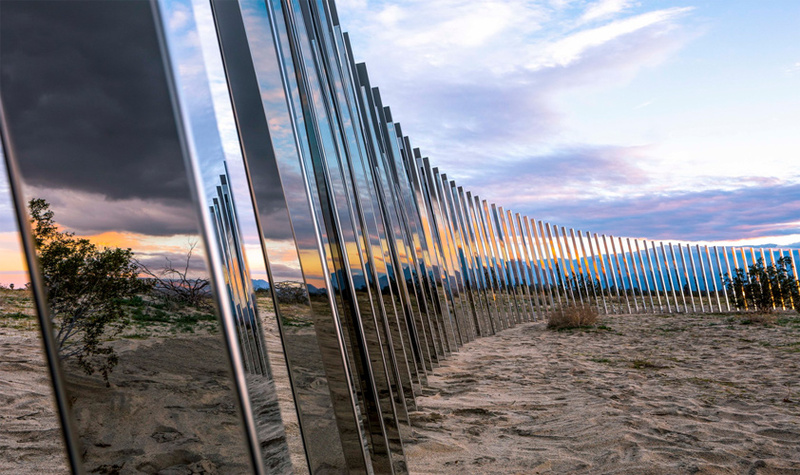 Like a glimmering mirage, Desert X is an ephemeral collection of contemporary and modern art installations scattered in and around Palm Springs, California. The second year of this fantastic FREE art event kicks off on February 9th, 2019 and runs through April 21st. These art installations are perfectly suited for photo shoots, psychedelic voyages, or a twilight outing before catching dinner at one of the many restaurants in the Coachella Valley. Heading to Desert X 2019? Rent one of our awesome Campervans and visit the Coachella Valley in Style! Desert X is a biannual event that was first held in 2017. 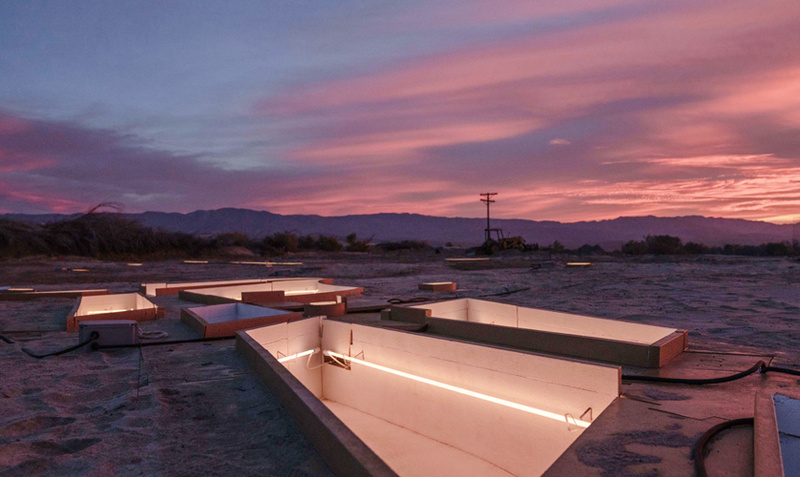 Conceived by Susan Davis, Editorial Director of Communications for the Annenberge Retreat, Desert X was a strategic move to put the Coachella Valley on the map as a destination for art enthusiasts. After receiving support from Steven Biller (Palm Springs Life), Steve Nash (Palm Springs Art Museum), organizers from the Coachella music festival, and funding from local philanthropists and art enthusiasts, Desert X was founded as a 501c3 non-profit in 2015. One of the most important aspects of Desert X is its strong foundation in the arid washes and rocky outcroppings that make up the greater Sonoran Desert. I experienced Desert X for myself in 2017 where I had the chance to visit ‘I Am’ by Tavares Strachan as well as ‘The Circle of Land and Sky’ by Phillip K Smith III. These installations benefited from the bizarre, yet strangely appropriate juxtaposition of materials: glowing neon tubing and geometrical, mirror-clad forms set against the sterile sand and animated branches of Creosote bushes. Whether you choose to explore a single installation or spend multiple days visiting as many of these art exhibits as possible, a trip to Desert X in the Coachella Valley is a fun and rewarding adventure. Although we might be slightly biased, we recommend renting a campervan, inviting a friend and making a trip of it. And best of all, this amazing collection of unique and visually stunning art is free to visit!